Europe is arguably one of the most beautiful places around the world. This comes from the fact that, aside from retaining most of its natural beauty, the continent as a whole has preserved castles, palaces, and other man-made attractions that were built hundreds of years ago. It has also become a cultural centre and is home to numerous museums, theatres, art galleries, and other cultural sights. So, if you’re a British expat (and even if you’re not! ), you won’t go wrong with spending your holiday in Europe. The question now is this: how will you organize your trip? You can always opt for independent travel and prepare for your holiday on your own. But, if you want to have fun and stress-free time, the best thing you can do is to book expat tours. This way, you can visit most if not all of the attractions you’ve always wanted to see and have an expert guide who’ll ensure that you’ll make the most of your holiday. 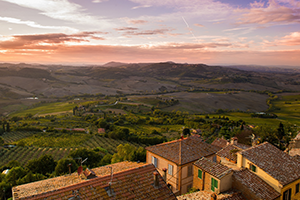 Italy is known as one of the centres of civilisation so, if you want to learn more about European culture and even world history, you’ll love going on a cultural tour in The Boot-Shaped Country. During your tour, you should visit some of the most iconic locations in the country (including Rome, Venice, Tuscany, and Florence) and see famous attractions like the Leaning Tower of Pisa, the Roman Forum, and the Coliseum. Also make sure you enjoy a range of additional activities like riding a gondola in Venice’s Grand Canal and taking a guided tour around Vatican City. Whether you love flowers or just want to get up close and personal with nature, you’ll definitely want to explore the tulip fields in Amsterdam. Here, you’ll get to see acres of fields that have bright and vibrant tulips in every colour as well as other stunning flowers. Spring is invariably the best time to visit Amsterdam since this is when the Dutch tulip fields are in full bloom. Take your trip during April, and make sure to visit the fields near Haarlem and Noordwijk (which are considered to be the most impressive). Don’t forget to visit popular attractions in Amsterdam such as the Anne Frank House, Van Gogh Museum, and Madame Tussauds Amsterdam. This tour is an excellent choice if you like being on the water and love the exhilarating experience of cresting the waves and breathing in the crisp, salty air. It’s also a fantastic option if you have been on a couple of European cruises in the past and want to experience something off the beaten path. A sailing tour in Croatia will take you to some of the best spots in the country (such as Dubrovnik, Korcula, and Hvar Island) and let you enjoy their breathtaking beauty. It will also give you the chance to explore Croatia’s urban wonders and national parks and swim in some of the best beaches that the country has to offer. Greece is steeped in history and full of mystique and by taking a tour around the country, you’ll get to know more about its past while enjoying its natural beauty. Take the chance to visit cities and regions that played a big part in Greek mythology such as the Parthenon (which was dedicated to the goddess Athena) and Delphi (which was said to be the home of the god Apollo). Of course, don’t forget to explore well-known Greek attractions such as the monasteries in Meteora, the tomb of Agamemnon and the Acropolis museum. France is known for its delicious cuisine and its huge role in the fashion world, but these aren’t the only things that it can offer. If you take a cultural tour in the country, you’ll see that it’s also rich in breathtaking attractions, both natural and man-made. These include the beaches in the French Riviera, the vineyards in Burgundy, and the museums and art galleries in Paris. Pick a tour that will give you enough time to explore these attractions and absorb the sights and sounds of France. These are just a sample of the expat Europe tours that you can choose from. Remember to find an appropriate expat travel insurance and check out these tours for British expats now to see which one best suits your preferences and travel plans.